5 Reasons to shoot video and 5 reasons not to. 5 Great Reasons Why You Should Be Shooting Video and 5 Awesome Reasons Why You Shouldn't. Like it or not, video or digital filmmaking is taking off and will only become more popular. Here are 5 reasons why you would want to shoot video and 5 reasons why you wouldn't. 5 Reasons Why You Should Shoot Video. It's not difficult to see why businesses like to see their products advertised in a captivating little movie When only a few years ago a still would have to do. It's very difficult to ignore a moving ad on a web page or where an article has been enhanced by footage It's not just products though, it could be instructional videos, Vine clips on Twitter, or clips to aid presentations. Wherever a photo has been used in the past there's likely to be someone who wants to replace that with a video clip. Video is everywhere on the Internet now. Someone is shooting them. It could be you. 2. This isn't going away. The Internet is awash with reports telling us how big video has become and from here it's only going to get bigger and demand from clients will increase. 3. Offer video as well as stills. Adding video to your portfolio of services is going to make your business more appealing. Clients wants suppliers that offer them solutions and make their job easy. If you can tell that client you can shoot the stills and the video then they don't have to find two suppliers. Become a one-stop-shop for all things visual. Be aware though that trying to shoot film and stills at the same time on a commission is virtually impossible. It should really be an amount of time for filming and an amount of time for shooting stills. 4. Your competitors are doing it. If you can't shoot video, the next photographer will and you're likely to lose valuable sales to that other business.This really is about keeping up with the times. We're already seeing a progression of video with tv programming and digitial advertising making use of 360-degree filmmaking. Youtube is already showing advertising that allows the viewer to explore the scene from any angle they wish. Virtual-Reality, or VR is also very close on the horizon with Samsung advertising their headsets on mainstream television. 5. You might enjoy it! Creating footage can be very exciting, challenging and rewarding. It might be a new outlet for your creativity. Whilst I still love creating stills, I get so much satisfaction from creating a short film. I personally find them more engaging, an opportunity to tell a story and explore a subject in ways that a photograph never can. I've found there is far more interest generated from my films that image I have ever uploaded to a site like Flickr. My short films have been watched thousands of times and I can't say that any of my images have ever been viewed that many times. 5 Reasons Why You Really Shouldn't Shoot Video. 1.You have to learn so much new stuff! Whilst there's a core set of skills you can bring to filmmaking, it has many aspects that need to be learnt from the bottom up. compression, frame rates, moire, rolling shutter, 4K, HD, vlog, NLE, etc..Many hours of training, pouring over articles, vimeo, youtube, books and whatever else you can find that contains knowledge is coming your way. Have you got the time for that? Generally it's a lot harder to put together a well-produced short film than it is to create a bunch of images. There's a lot of things to think about! 2. There's a ton of new equipment to buy. Photography is expensive enough already! 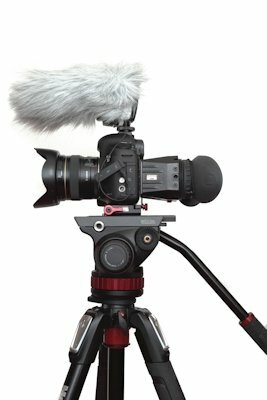 You are likely to be able to utilise some of the gear you have already like camera bodies and lenses but you'll also need mics, sound recorders, viewfinders, dedicated video cameras, rigs, sliders, fluid heads, lights, video editing software, a powerful pc or mac to run it on, batteries and more storage than you'd ever imagined. Footage just eats gigabytes for breakfast. Some is essential, some not so much. A slider for instance is very nice to have but if you don't it might not be the end of the world. 3. Sound has to be as good as the picture. Sound is really tricky to do well. People have careers working with sound alone and you have to get to grips with it. Come on , that's hard. Sound makes a huge difference to the final quality of any film and done badly turns the viewer off very quickly. It has to be done properley and this takes practice. 4. Lighting for video is very different. Lighting a scene for seconds and minutes is very different to lighting for parts of a second. Lighting is another aspect of filmmaking where people dedicate a career and much like bad sound, bad lighting will ruin the footage. 5. You have to work on your portfolio. You will have to spend a lot of time putting together a body of work to showcase your skills. That will take your time and money with no reward to start with. Jeez, it's like starting at square one again. I recognised how important video would become some time back and decided to add it to my folio of services. It certainly hasn't been easy and everything I've written here has been learnt through cold, hard experience. I'm still learning lots about this huge subject and every shoot brings new challenges but I find making films to be hugely rewarding and I'm very pleased I made the effort to get in to it.